The Danish dish ‘fiskefilet’, which is bound to make an appearance on Mini-CBRbound’s blog sooner or later. If you’ll permit me a small indulgence, 10 year-old Mini-CBRbound is going to be blogging for the next several weeks as part of a term-long school project. Soon, the slow train to Sydney won’t be the only rail option in Canberra. Things are getting quite exciting in Gungahlin, Canberra’s newest suburb. For a couple of years now, there has been much talk of a light rail line running from Gungahlin to the city centre in Civic, but soon, work on the line is expected to begin. It may seem odd to get excited about what ostensibly amounts to the start of several years of roadworks – and there are plenty who oppose the idea of building a tram network in Canberra, as the arguments ahead of October’s local elections confirm — but I have my reasons. We had tears in the CBRbound household the other night. For the past year, Mini-CBRbound has been asking when we can visit Denmark again as a family. He particularly misses his old football team and the team’s trainers, with whom he built up a close camaraderie over four years of junior football. Mini-CBRbound at his final tournament with his old football team. This blog was viewed about 11,000 times in 2015. If it were a concert at Sydney Opera House, it would take about 4 sold-out performances for that many people to see it. Strangely for a blog all about starting a new life in Canberra, the most popular post continues to be my farewell tribute to Scandinavia: ‘The five best things about living in Denmark’. But no matter. Thank you for visiting, commenting and taking an interest in our adventure down under, and a very happy new year to you from the CBRbound family. 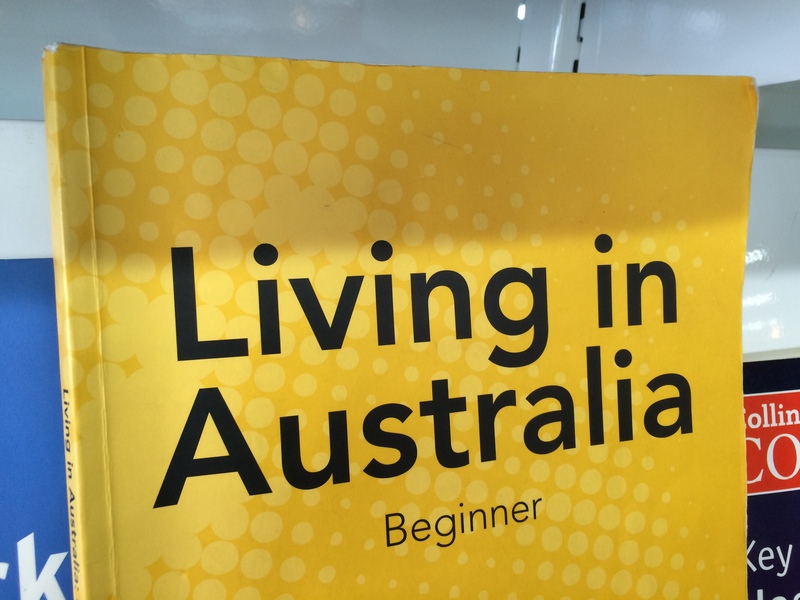 Perhaps we are ready for the next book in this series, Living In Australia Intermediate Level? I’m in Denmark. Exactly a year ago, together with the rest of the CBRbound family, I was preparing to leave an empty house and follow a long-dispatched container of furniture on the long journey south from Copenhagen to Canberra. We landed in Australia on Hallowe’en and overnighted at a Sydney airport hotel, where a tired and emotional maxi-CBRbound was too shy to say the words ‘trick or treat’ to the check in staff, even though a handful of sweets was on offer to every child who did.